UPDATED****Ripple XRP signs HUGE deal!! Ripple signs deal with American Express and is up to .32 cents from .20 this morning!! 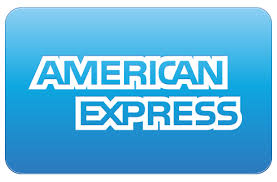 American Express is now live with ripple net and instant payments are happening between the U.S. and the U.K.! They are not currently using the Ripple currency, but they will be testing it for future use. The price went back down to .23 cents per XRP. I believe this to be because everyone woke up and saw Ripple was up to mid .30's and they sold, causing the fluctuation in price. People seem to believe that when Korea wakes up in the morning to the news that this will explode. I think it will go up, but it will still take more time bc it will require the use of actual XRP....Leaving now a GREAT time to buy!! This article should not be taken as, and is not intended to provide, investment advice. Please conduct your own thorough research before investing in any cryptocurrency.